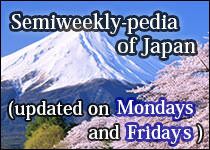 In Japanese, the word "gyu" means "beef" and "don" is abbreviation for "donburi" (refer to #054). 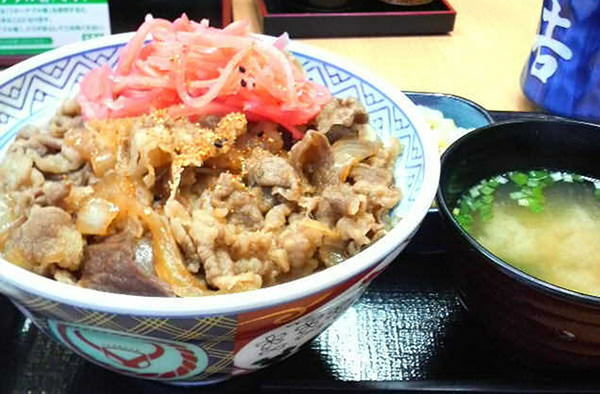 Gyu-don is so-called Beef Bowl and one of Japanese donburi cuisines. 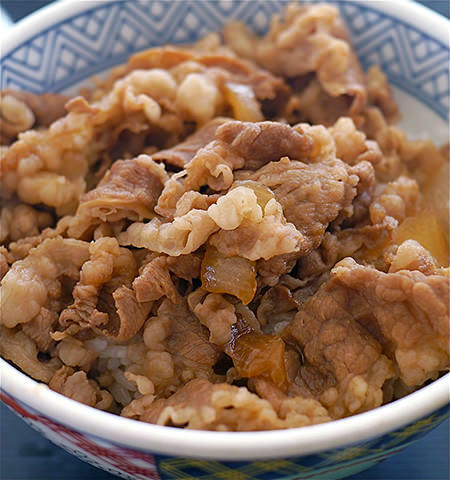 It is a cooking style, in which sliced beef is on rice in a donburi. Gyu-don is very popular among Japanese, especially among office workers, and it is often regarded as the most popular donburi cuisine in Japan. 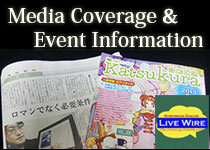 Recently, many foreigners visiting Japan love to eat Gyu-don because it is delicious and the price is reasonable.